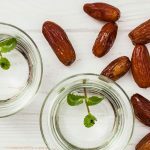 Gilano Dates is a leading exporter of Pakistani Fresh Dates to the USA, UK, Canada, Japan and Norway. The company was founded in 1990 by Mr. Mundagar Merwanji. Prior to starting Gilano, Mr. Merwanji had worked for several years as Factory Manager. That was a major food processing company, “Lipton Pakistan Ltd.”, a division of the multinational conglomerate, Unilever. In 1985 he started his own food quality assurance company. Named as as “Commodities Inspection Company”. Moreover, in 1990 he formed “Gilano Trading Company” to export dates. Hence, Mr. Merwanji brought his long experience in quality and customer dedication to Gilano Dates. Regrettably, in 2007, Mr. Merwanji suddenly passed away at the age of 57. Eventually, the business is than owned and managed by Mr. Mewanji’s’ wife Armine and son Kersasp. Kersasp has a unique combination of formal management training. A Bachelor in Marketing and Entrepreneurship from the University of Houston, Texas. He has an extensive knowledge of local practices prevalent in rural Sindh and Balochistan (where the dates are grown) having been trained by his father. Our dates brand “Gilano Dates” is familiar around the world. We are synonym to guaranteed quality as Pakistan Fresh Dates. Gilano Trading Company is a Karachi, Pakistan based HACCP Certified leading Pakistan Dates Exporter & Supplier of GMO Free and Gluten Free Fresh Conventional & Organic Dates, Fresh & Dried Dates, Pitted Dates, Diced Dates, Chopped Dates, Whole Dates from Pakistan. Additionally, we are registered with federal board of revenue of Pakistan and member of Karachi Chamber of Commerce and Industries of Pakistan serving our customers worldwide since 1990. 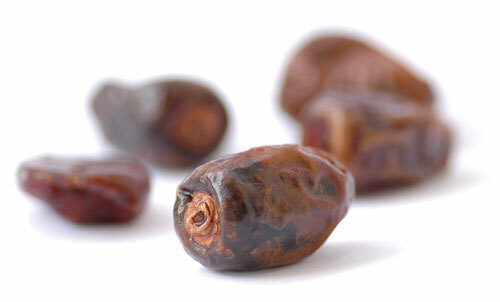 We are regularly exporting our dates to our customers in various region of the world. That includes USA, UK, Canada, Japan & Norway. They uses our dates for their confectionery, organic energy bars and other food related products. We strongly believe in customer satisfaction. When a company becomes a customer of our, their satisfaction is the key to our success. Gilano Dates specialize in Pakistan Fresh Dates. They are processor, packer and worldwide-exporter of Quality Pakistani Dates & Top Varieties of Dates. We provide HACCP and ISO 22000 certified products which we ship all around the world as Pakistan Dates Exporter & Supplier. 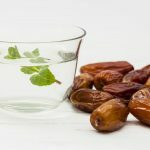 As a result they offer dates in bulk quantities to wholesale buyers, traders and to manufacturers. It includes – Conventional & Organic Dates, Fresh & Dried Dates, Pitted Dates, Diced Dates, Chopped Dates & Whole Dates. Continuous improvements in our quality, services and operations. Understanding the customers visible and latent needs. Planning to expand our presence to the international market. Strengthen our brands equity worldwide. Gilano Dates plans to produce the Pakistan Fresh Dates for our customers in our own farm-land. Gilano Dates aims to be a Pakistan Dates Exporter & Supplier in the world. We strive to expand our exports of Pakistan Fresh Date in International Market. Beside this we remain to be a Quality Dates Dealer in top variety Dates with best prices. 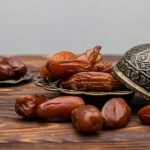 Our Dates processing facilities are located at Khairpur, Sukkur District and the shipments for export are handled from Karachi, which is a Port City of Pakistan.